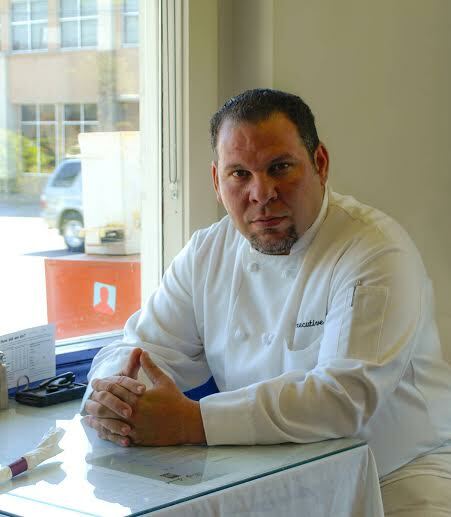 Known as Chef Adel at Bellevue Diner, he believes in making the most with what life has given to him. This philosophy has helped him overcome challenges, and in his younger years, adopt the foresight to see that a “cooking” job was a stepping stone to better ones to come. Adel was born in Port Said, an Egyptian city located on the Mediterranean Sea near the Suez Canal. He grew up in a city of historical importance, one that endured extensive damage during the Suez Crisis in the mid 1950’s and again in the 1967 and 1973 Arab-Israeli wars. Port Said has since been rebuilt and currently home to 570,000 people. The Egyptians now consider it a summer resort and line the sandy beaches with rows of bungalow style homes. At the age of 20, Adel started spending his summers working on a cruise ship as an assistant cook. He traveled the Mediterranean Sea, East Asia, Canary Islands, caribbeans, Eastern Europe and Latin America. Although he had not yet dreamed of owning his own restaurant, the desire to want more was inside of him. Stillio, the executive chef on the cruise ship, saw potential in Adel and took him under his wing. Even though adel was working in a strict and fast paced environment, Adel enjoyed his job. When the executive chef quit and worked for another company, Adel went with him. Eventually, Adel became motivated to pursue an Associates degree in Hotel & Restaurant Management. But after years of working, he only had $600 in savings because most of His paychecks went to supporting his Family. His company offered him a small scholarship, but it wasn’t enough to cover tuition. Lack of money wasn’t enough to hold him back. He paid $300 for a one-way ticket to America. At Twenty seven years old, Adel found himself in New York City with only $300 in his pocket and not knowing a single person.. On day four of his arrival, he found a job working as a cook at an Indian restaurant in Mid-town Manhattan. Within one week, he found an affordable room to rent. In America, new york specificallly, he discovered that he did not have to hold on to the circumstances that were given to him in Egypt. But change didn’t come easy. He worked twelve-hour shifts six days a week. Half of his weekly $250 paycheck went to his landlord. Adel remembers when a pastrami sandwich was a two-day meal. He was sick of eating leftovers and the same food over and over again, but these were blessings he could not throw away. After six months, Adel found his next opportunity in the space attached to a Diner across the street. The owner needed to fill the vacancy. A handshake is all it took for Adel’s promotion to chef and serving his versions of lamb shank, shish kabob, gyro sandwiches, hummus and daily specials. It was a limited menu but his food was tasty and loved by everyone. through this process, Adel met a middle age waiterest named Patricia and her husband George, a greek family. Patricia worked at the diner next door, they became good friends. Patricia showed Adel how the diner service in america works. At this point Adel dreamed of owning a diner because of the casual good service with the people and the affordability of the food. through conversations with Pat and George, Adel found out that their daughter in florida also share the same dream as him of owning a diner like the one next door. back to Adel job, he found found himself looking for another job within a few months because the owner had a more lucrative business opportunity. He came across a well-known catering hole in Queens called Crystal Palace. He worked from 6am to 6pm six days a week. He found himself in a banquet service serving food like on the cruise ship. It felt like home again. Remember, he came to America to study. And somewhere between his arrival and working twelve-hour days, he managed to earn his degree in Hotel & Restaurant Management. His big break came on a personal trip to Nashville where he met his soul mate Dina. Within days of meeting her, Adel fell in love. The feeling was so strong, that Adel flew back to New York, packed his bags and headed to Nashville. Within a month of moving to nashville, Adel found himself along with Dina working around nashville in different restaurants. they got involved in various operations to gather experience. After they decided to thigh the knot, they were looking together through each others family album and as a surprise to Adel, George and Pat were her parents. The dream to open there family diner was alive like never before and they worked hard to make there dream come true. Bellevue Diner was the dream. But anyone who knows Adel realizes that a restaurant is his second home. He is a foodie who thinks about quality and taste above everything else. He adheres to his own standard of ethics and enjoys bringing people together with a home-style meal. You’ll find him at the restaurant by 6am, after waking up and spending time with his wife and kids. The first thing he does is head to the kitchen line and tastes everything that is being served. Afternoons are reserved for reviewing inventory and taking business calls.